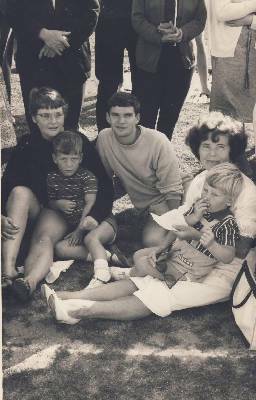 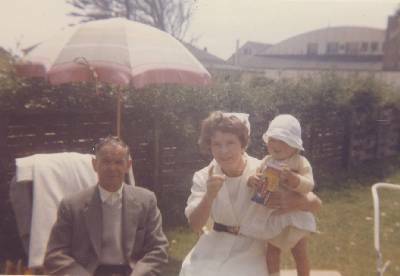 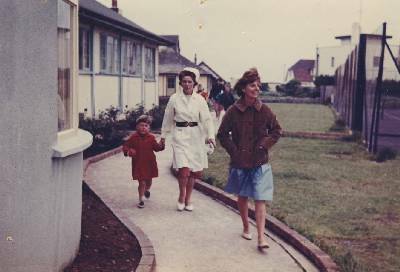 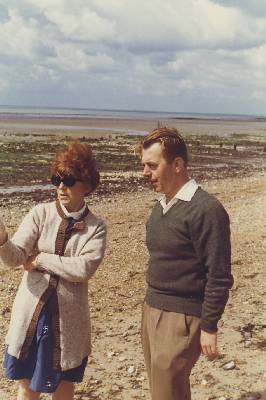 Having worked at Broadreeds Holiday Camp in 1961, Kay then came to work at Southdean in 1962 with her 4 year old son - yes that's me! 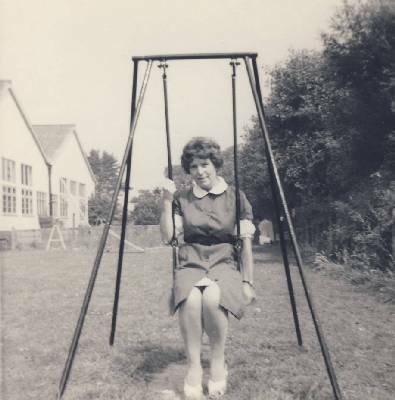 She worked as children's nannie and also did the nursing duties for the holiday camp. 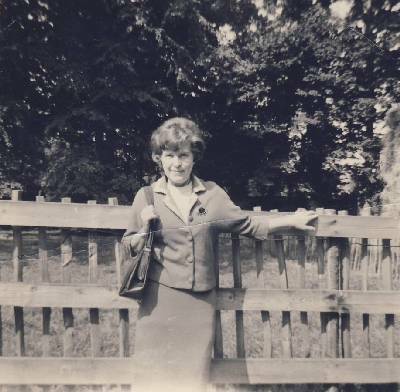 Kay finished at the camp around 1976 and then went on to be the courier for Richesse Furs in Chichester, so she still came to the camp to collect coach loads of punters for the Fur Trip outing. 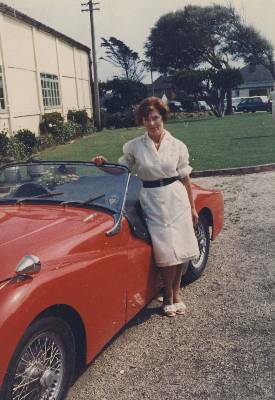 Kay never drove but it looked good! 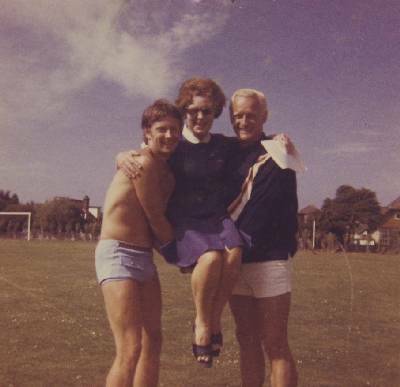 Kay loved the holiday camp entertainment even though it was the same every week, and often every year! 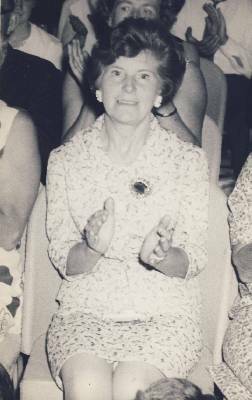 She was an enthusiastic clapper and would be the last one to stop applauding. 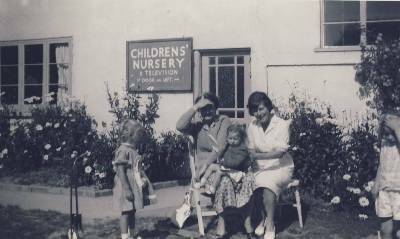 Kay in the Nursery garden - In the background is the green that became a Bowling Green at one time. 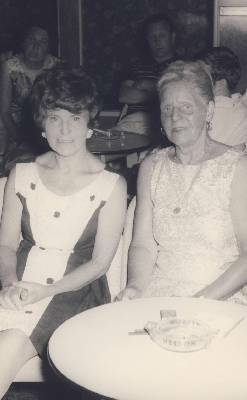 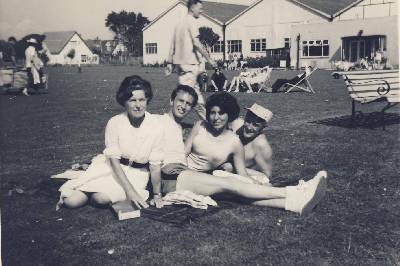 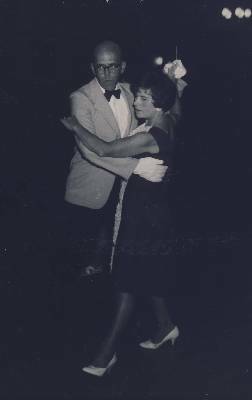 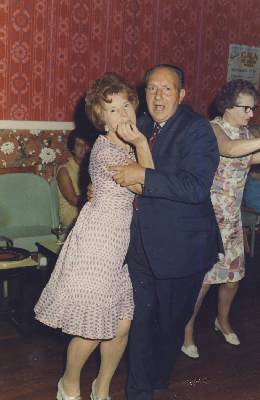 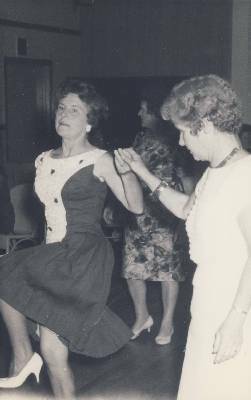 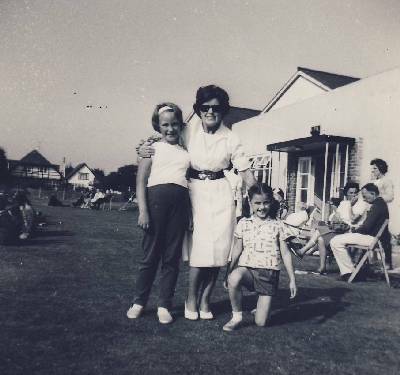 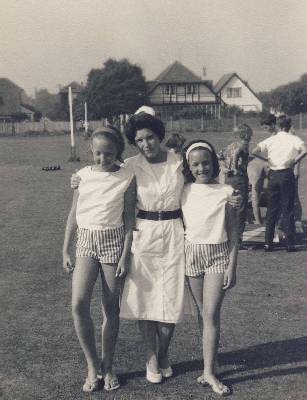 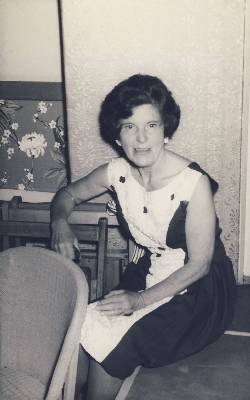 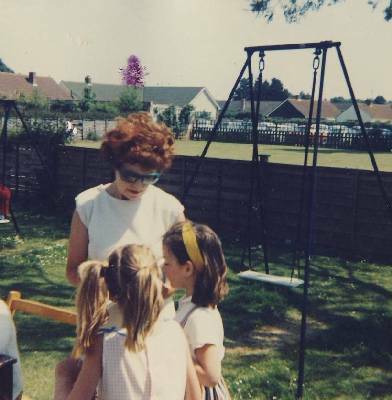 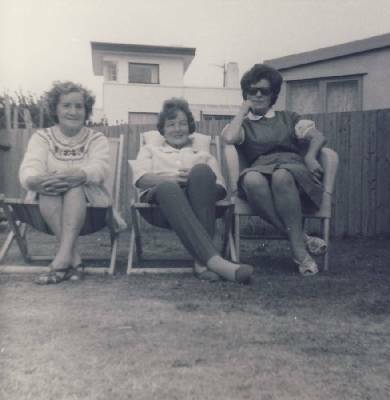 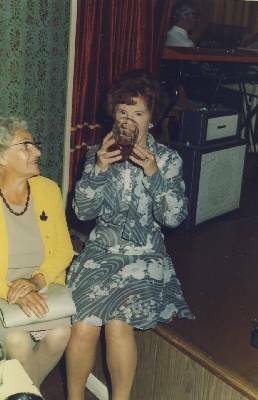 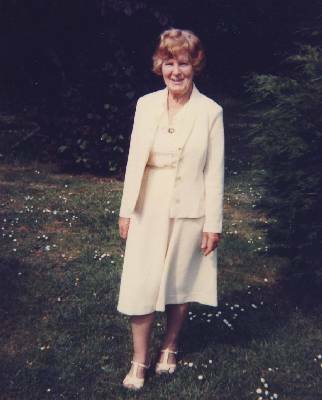 Kay loved holiday camp life and her other interests included dancing, writing stories, walking with the Bognor Regis Rambling Club and she enjoyed many walking holidays with the Holiday Fellowship organisation. 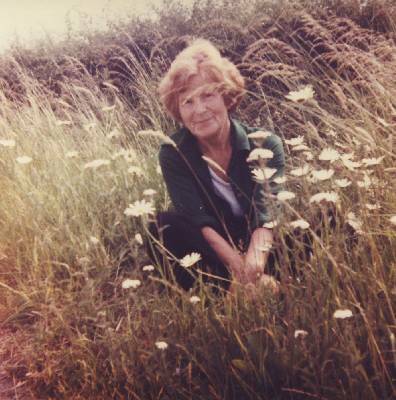 Some of her fiction writing included her age on job applications and she worked well into retirement!